Staying safe on the job is extremely important. Unfortunately, accidents happen. 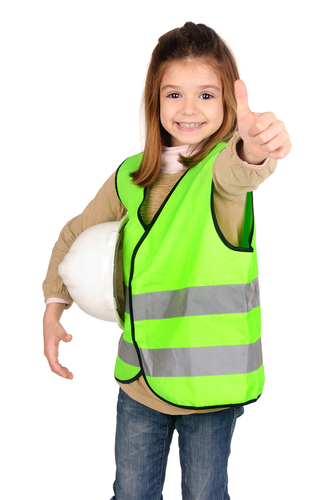 To help prevent unnecessary accidents, many business owners require their employees to wear high-visibility clothing. While high-visibility clothing is defined as any article of clothing that is made to improve others’ ability to see them in any situation, safety green is one of the most common options. Safety green t-shirts, vests, etc. make it easier for people to see workers and can help prevent devastating accidents. Here are just a few reasons why safety green is great for workplace safety. Safety green is a type of high-visibility–or hi-viz–clothing. High-visibility clothing is any clothing that is highly reflective or has a color that can easily be discerned from any background. Many employers require it as a form of personal protective equipment because it can prevent serious accidents. Safety green is frequently worn by road maintenance crews, sanitation workers, railroad workers and airport workers. In any job where people are working in dark areas or near moving vehicles, safety green improves visibility and helps prevent injuries and death. In certain industries, the Occupational Safety and Health Administration (OSHA) has strict requirements regarding the wearing of high-visibility clothing. People who work on highway or road construction, for example, are required to wear brightly colored clothing. The OSHA manual requires daytime flaggers to wear shirts, vests or jackets that are orange, yellow or safety green in color. 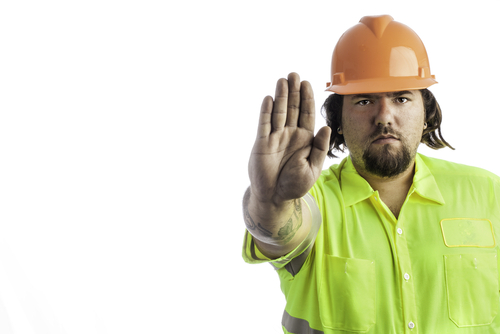 Your employer may also have specific guidelines for wearing safety green at work. You may be required to wear a certain amount of safety green, or you may be required to wear certain types of garments. Check your employee manual or talk to HR to find out the specific requirements. Wearing safety green makes it easier for other people to see you, and when you are easily seen, you are much safer. Safety green t-shirts, headwear, vests, jackets, etc. make you much more visible to drivers and equipment operators in your immediate vicinity. High-visibility clothing makes you stand out from your environment and helps ensure your safety. This is especially important when you are working in dark areas or in fog, rain, snow, etc. During the summer months, high-visibility jackets and coveralls are simply too hot. They can also restrict movement, making them inappropriate for certain situations in which freedom of movement is important. In factory settings, the bulk can also be a danger. Safety green t -shirts, however, are cool, comfortable and don’t create a lot of bulk. When they fit properly and are worn tucked in, they can safely be worn around equipment without risk of getting entangled in moving parts. T-shirts are also affordable and easy to maintain, making them ideal for situations in which frequent wearing is required. Who Else Can Benefit from Safety Green? While safety green is most frequently worn in industrial settings and by road workers, construction crews, etc., it can benefit other people, too. Runners and cyclists commonly wear this vibrant color when traveling on roadways to ensure that drivers are able to see them. 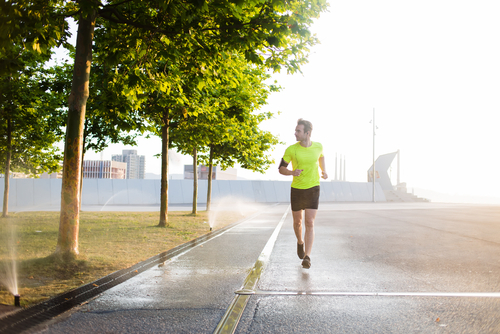 This is especially common among runners and riders who are on the road in the early morning or evening hours. If you are going to a crowded area with your family, dressing your kids in safety green makes them much easier to spot if you get separated. Since the color isn’t often worn by children, it will also make it easier for others–including emergency responders–to identify your son or daughter if he or she gets lost in a crowd. Dressing your child in bright colors can even deter potential kidnappers from attempting to lure him or her away from you since they will not be able to easily blend in with the crowd. Safety green is a color that is commonly used in high-visibility clothing because it helps differentiate the wearer from their environment and makes them easier to see in low-light situations. It is also an excellent choice for runners and cyclists, and it can even help you keep your child safe in large crowds. At The Adair Group, we have wholesale t-shirts in a wide range of colors–including safety green. Please feel free to browse our selection and contact us if you have any questions or concerns.